The year was 1995. Black film was still in the growth period and would see some strides made this year with the release of several important movies that all served different purposes. Today, we take a look back at 6 movies that made 1995 a year to remember. Let's get into it. -One of the greatest comedies of all time and top 2 on my black comedy list has to be discussed when looking at this year. 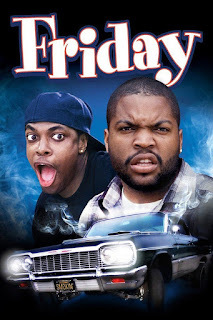 Written by Ice Cube and DJ Pooh, and starring Ice Cube and Chris Tucker along with John Witherspoon, Faizon Love, and more. Friday is classic in the sense that the movie's plot isn't intricate or detailed, it is as simple as possible. Two friends who sit on the porch all day, are both going through their own struggle. Craig and Smokey have their own problems, one being losing a job while off, and the other owing his supplier 200 dollars. The way the film plays out is comedic and hilarious from start to finish, and there are so many memorable lines and quotes. Friday is one of my favorite movies ever and easily the funniest movie of 1995. -This movie was a bit more amplified than it needed to be, but it was still a film with a message behind it that would entice viewers around the world. The film isn't solely a black film, as of course, it features some white cast members, but it does follow the story of Malik, who is the main focus of the movie. His story intersects with other troubled freshman at the fictional Columbus University, including the outcasted and awkward Remy and the confused Kristen, two white students who make decisions that affect everyone's life in some way shape or form. While the movie is a bit overexaggerated in some parts, it has some engaging moments from start to finish that make it a decent watch. On this list, it isn't my favorite, but it was definitely an important film, and features a funny yet tragic performance from Tyra Banks. -This film was actually one of the better films of the year and had a stellar cast in retrospect. 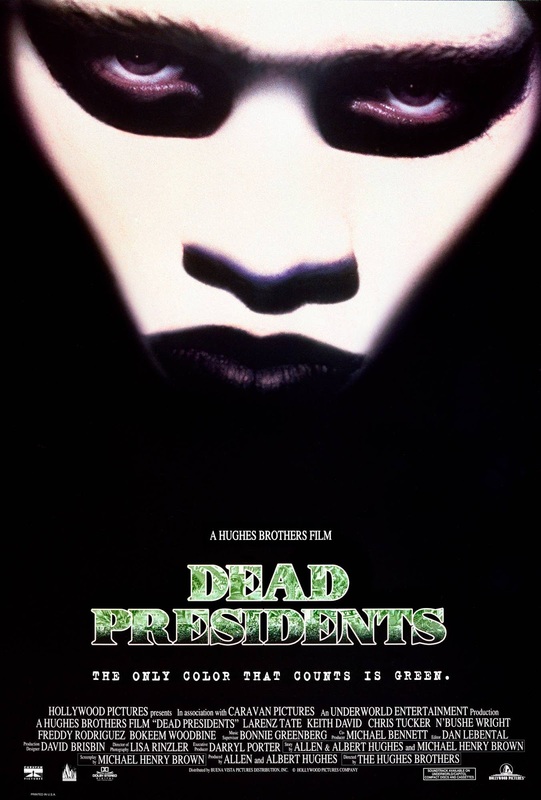 The Hughes Brothers returned with another film that detailed the story of getting by through any means possible and as a result, they face some heavy consequences. 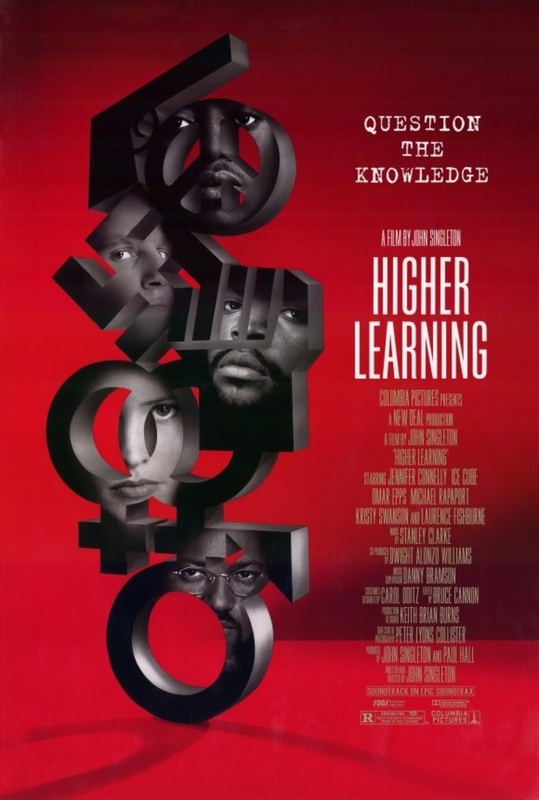 Starring Larenz Tate, Chris Tucker, Keith David, and more, the film is loosely centered around experiences from Haywood T. Kirkland with a mix of the Black Liberation Army's experience through the Brinks armed robbery. Based around the lives of veterans who were neglected by their own government, the film hits true to life points that leave you thinking about the way the government has treated their veterans and the reality that they face every day. This movie was entertaining from start to finish and is a highlight on the year period, not just in black film. -We had seen buddy cop movies like 48 Hrs and even to an extent Beverly Hills Cop, but we had never seen a film that featured two black comedians/stars as the lead with a huge budget. Both Will Smith and Martin Lawrence were two comedic actors that were unproven as leads in box office films, so in many ways, this movie was a risk. Martin had never really carried a movie and the same could be said for Will. This franchise essentially launched their film careers in a major way and set the tone for a franchise that has a third installment finally on the way. However, calling this a "black film" might be a bit of a stretch due to it being directed by Michael Bay, but it was the first blockbuster really of its kind to feature two black stars in the lead role for a big budget action film. 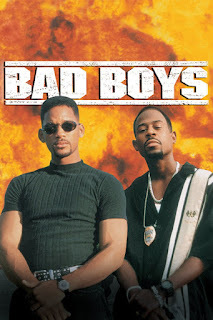 That aside, Martin and Will showed immense chemistry as Marcus and Mike, and this movie is a true all time classic IMO. 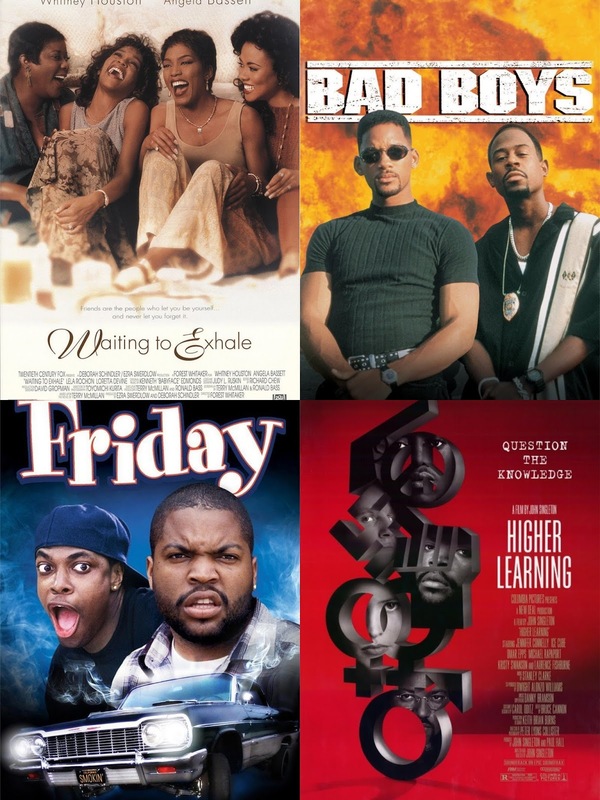 Bad Boys is probably my second favorite movie of 1995 and my second favorite on this list as well. -This movie wasn't at all what it should have been, but it was what I expected it to be in essence. 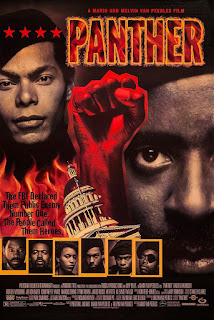 The reality is, in a Hollywood controlled film world, how much of the true story of the Panthers can you really tell? Everything in films based on a revolutionary's story becomes sensationalized and unfortunately, this was no different. For one, this Mario Van Peebles directed film just moves a bit too fast and condensed too much into the two hour running time. The performances themselves acting wise were okay, but it was very hard to really capture the charisma of a Huey Newton, Bobby Seale, and many others in the movement. The story of the Panthers in this film seems to lean more towards the declining years than the thriving moments and that's where the movie loses me as a viewer. It would have been nice to get a more in-depth look at the true ideologies of the movement. 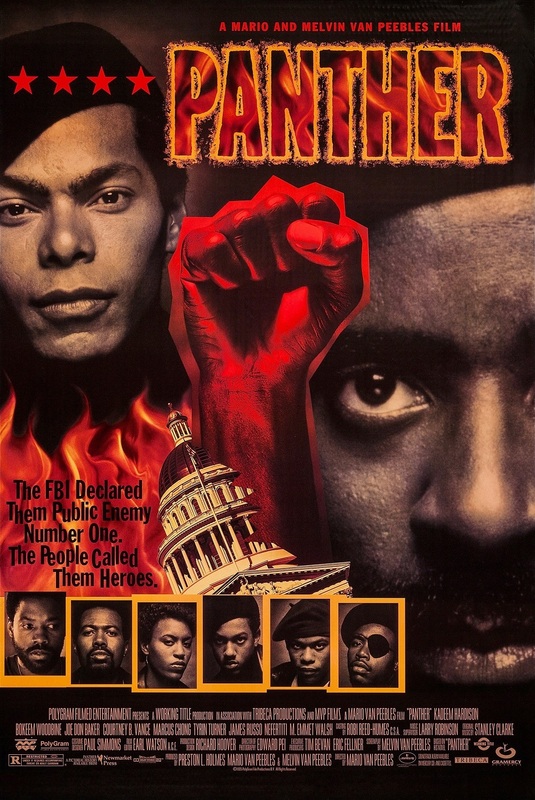 Still, seeing the story of the Panthers on the screen, despite how flawed this portrayal is was definitely an interesting watch. It wasn't the most successful film, but it was one of the most important movies in black film for the year. -I chose this movie for the list because it is special for many reasons. For one, a film that has a leading cast of black women was a rarity at the time and to have Whitney Houston as a star and the lead artist on the soundtrack (next to Babyface and his assistance) was very interesting. The film was adapted from the Terry McMillan novel of the same and was the directorial debut of Forest Whitaker. The film centers around four female friends living in Phoenix and trying to find the right relationship despite their dating mishaps. In some ways, the film became a true social phenomenon, as the title became a part of pop culture at the time, but outside of that, the film has some interesting moments overall and the plot lines are actually pretty ridiculous. 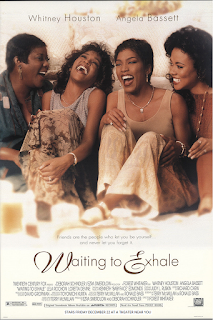 All in all, Waiting To Exhale is a film that holds significance in the black movie world, just like the other films listed here.